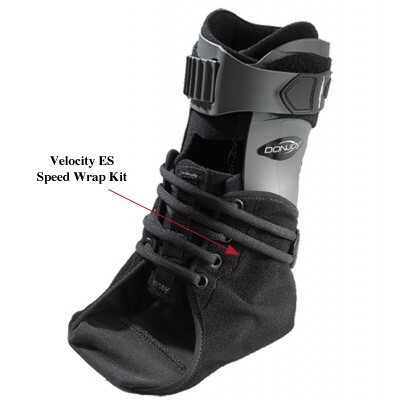 The Speedwrap Kit is a replaceable part for the DonJoy Velocity ES Ankle Brace. Donjoy Velocity Inner Liner also required to convert an LS (Light Support) brace to an ES (Extra Support) brace. It was exactly what I needed to repair my ripped part of my brace, Saved alot of money by just replacing the parts needed instead of the whole brace.